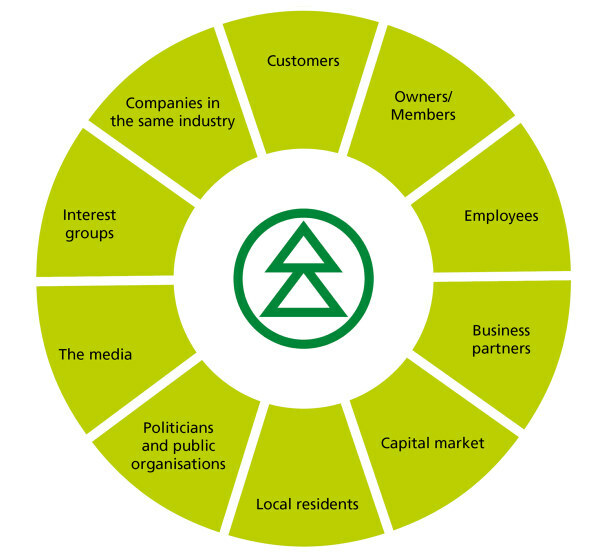 More than 52,000 forest owners are members of Södra. We have many customers and employ a large number of people directly and indirectly. Overall, Södra has many and rewarding relationships with a large number of stakeholders. Stakeholders contribute in various ways to Södra’s development. A key example is Södra’s sustainability strategy, which was developed with great commitment from, among others, employees, members, customers, suppliers and external experts. The stakeholders are involved using surveys, in-depth interviews and a strategy seminar. In the communities in which Södra operates, we often play a significant role by creating jobs – both directly and indirectly. Södra informs and interacts with schools, associations, suppliers and local residents. Contact is often in relation to impact on the local area in the form of traffic, noise and odours.